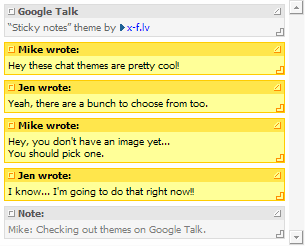 A few themes made by me for Google Talk instant messaging program. Inspired by Apple MacOS 7.5 program “Stickies”. 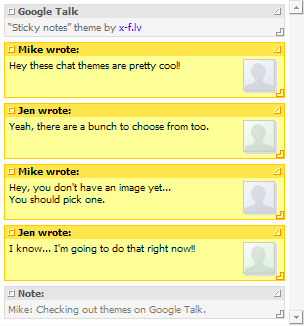 This theme has a simple QOTD and displays emoticons horizontally (just like Gmail chat). My first theme, heh.. 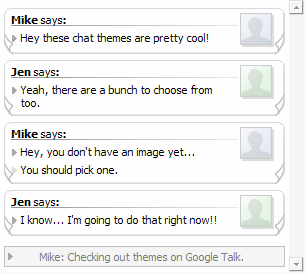 It displays smileys horizontally (just like Gmail chat)! Wii.